Summary: A very smart look at failure in games as a psychological state, a gameplay mechanic, and as a narrative device. This is a theory book I would recommend to developers. The Art of Failure is part of a “playful thinking” series published by MIT Press and, like the other books in the series, it’s a short rather academic exploration of a somewhat niche topic in games. The book describes itself as an “essay” and that may almost be accurate: the book is short at only 124 pages, not including the pages and pages of references at the end. One of the reasons I picked this book (and yes, the short length was one of them) is that the author – Jesper Juul – is often referenced in other academic or theory books on game design. Since the topic has such a small scope, The Art of Failure is able to go into a great deal of depth into the issue while also being fairly comprehensive. This avoids a lot of the problems I’ve found with more general-topic game design textbooks, which tend to survey the field rather than dig deep into a single corner of it. The book is divided into six sections: an introduction, defining what we mean by failure, the psychology of failure, failure as a gameplay mechanic, and failure as a narrative device or fictional dressing. While failure itself is explored largely in its relationship to games, the book also address failure (and related ideas of tragedy and catharsis) and its relationship to media in general. The author introduces the readers to the topic of the book by exploring the “paradox of failure” – that we feel bad when we fail, but yet we seek out situations (games) that guarantee failure. The Art of Failure is Juul’s attempt to reconcile what we know about “failure” and our relationship to it and help understand and explain the allure of failure in games. While doing so, he introduces various psychological concepts such as self-defeating behaviors – players who purposely self-sabotage so that when they fail it has less impact than if they had properly prepared – and learned helplessness – the lack of belief in your own competence when faced with the possibility of failure. 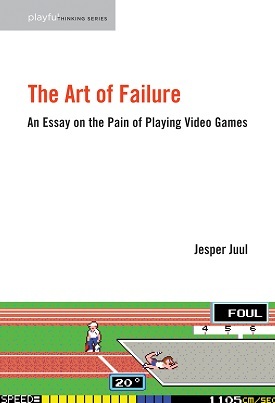 Juul uses the chapter on the psychology of failure to cover a kind of axis of failure: internal-to-external (the fault of the player or the game), stable vs. unstable (whether or not it is due to chance), and global vs. specific (whether the player is deficient with no ability to improve, or just deficient in a particular skill). By mapping these against, say, a piece of gameplay, you can get a pretty good idea as to whether player failure feels fair or unfair and if players feel they can improve (and keep playing) or if the odds are stacked against them (and give up). I felt that the chapter on failure as a gameplay mechanic was particularly good – in many ways, failure is just another way of looking at goal-setting. Juul’s divides goals into three categories – completable goals that can be reached only once, transient goals that can be reached many times (i.e. multiplayer matches), and improvement goals that measure you against your last performance (i.e. scoreboard). None of this is particularly new to me as a designer, but since the author approaches all these familiar concepts from the point of view of failure I found some new insights. For example, he points out that while games – in general – have gotten easier compared to the unforgiving nature of the 80s and 90s, failure itself has actually become more common. I haven’t really addressed the chapter on failure as a narrative device in games because I find myself divided on it. The author uses Anna Karenina as an example of a tragedy – failure in fiction form – and explores how one might translate that story into a game. He ultimately comes to the conclusion that tragedy in a game involves a level of uncomfortable complicity – a player must direct the tragedy – that stands games apart from other media and makes it particularly difficult to implement. (I say ‘conclusion’ but really it’s more of an exploration of these ideas rather than grandstanding claims). Keep in mind that this is an academic book so it’s drier than some of the other books written by and for designers, but since it’s short it doesn’t really last long enough to lose momentum. I will say that the introduction – which is almost a quarter of the whole book – felt like a slog that didn’t add much to the rest of the book and could be skipped. Once I got past the introduction I couldn’t put the book down, and barely a page goes by that I haven’t heavily underlined with great, fascinating pull-quotes. For such a short book, I barely touched on the topics it covers – I only highlighted a handful that I found particularly interesting. That said, after reading the book I did have a sense that it was somewhat meandering, and not as directed or carefully organized as I would have preferred. To be fair the author does describe it almost as a personal essay of sorts. I think it’s best to describe The Art of Failure as an attempt to explore the topic from various angles rather than leading the reader through a predetermined thesis and conclusion. (This is possibly one of its strengths rather than a weakness). The Art of Failure is probably best at home among game studies students and academics, but it’s written in a way that I think a lot of developers who are interested in a bit of theory would appreciate. While I can’t claim it’s practice-oriented, it does use lots of real life examples of games to support its exploration of failure , grounding it better than some other academic writing I’ve come across. In November 2014 – just a little over a year ago – I started a project to read and review books on game design and related disciplines. In May I started up a Game Design Book Club for others who wanted to read along with me. It’s worked out pretty well so far so here’s my summary. In 2015 I read 16 books covering: game design, architecture, psychology, games criticism, history, pop culture, and comics. (This is quite a bit shy of my goal of 25 books – maybe next year). By far the best book I read this year was Homo Ludens. It justified the whole project just by itself. I wasn’t expecting to like it so much but nothing has had such a big impact on the way I view games – and the role of games in society – as this book. It was like a delicious, unexpected game design buffet for my mind. If I had to pick a book that every game developer should read it would be this one. Please read Homo Ludens. Follow up books are, unsurprising, all written by game designers. Game Feel, the first half of A Game Design Vocabulary, and Playing to Win continue to stick with me and I reference these far more than I initially expected. I carried back new terminology to help describe familiar concepts in my daily work. All these books have made me more thoughtful and literate about game design. I will probably return and reread them again in a few years to help keep my thoughts fresh. These are all good books that I recommend, they just didn’t quite make the jump into one of the best books I’ve read. 101 Things I Learned in Architecture School is good but I would classify it kind of middling. I didn’t ultimately take much away beyond a few small tips, but I prefer much meatier books. Still, it deserves its accolades, and makes for a nice casual coffee table book. Understanding Comics is good but a bit overrated in its popularity among game designers. That seems to be a rare controversial opinion, so take my review with a grain of salt. I think it’s better to approach it as a guide on visual design than anything specific to game design. 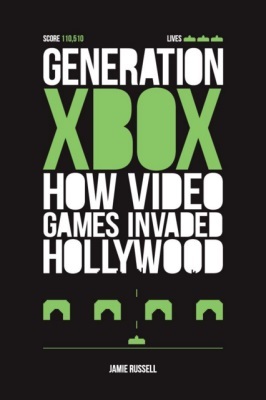 Surprisingly (to me), I enjoyed both history books I picked up – Videogames: In the Beginning, an autobiographical take on the early design and development of the Magnavox Odyssey, and Generation Xbox: How Videogames Invaded Hollywood. I liked them both as an opportunity to help understand the current industry by seeing how it evolved. I can’t say they are ‘practical’ books, just that they cover their subjects very well and fill in gaps in my knowledge. I carved out some time to read games criticism toward the end of the year. The best was definitely Shooter, an anthology of essays from a variety of critics that I think is good thoughtful content for game developers. I will admit that I tried reading a couple other books in a similar vein and put them down in disappointment before getting too far, so Shooter definitely stands out for me. 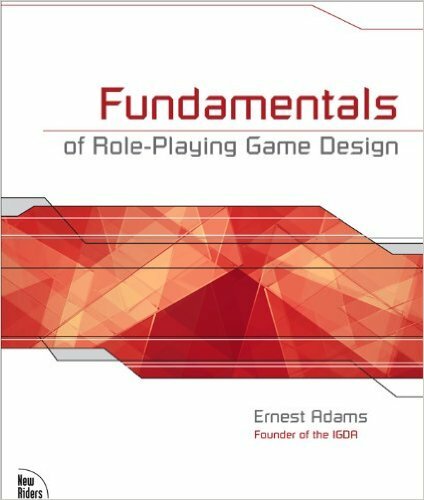 I read several fundamentals books – as in, books about game design in a general sense, often written for a university course. Each has their pros and cons, and they are all good in their own right. Characteristics of Games stands out as being an excellent book for experienced designers. I am cheating by including it here: I still haven’t finished it and written a proper review, but already know it will be extremely positive. It’s academic and theoretical but yet extremely relevant to industry folk, but it may be difficult for someone new to game design to pick up. The rest didn’t really work that well for me as a designer in the industry, as they tend to favor breadth over depth and simple introductions over challenging content. Art of Game Design is best for students looking to eventually enter the industry in a traditional way, while A Game Design Vocabulary is my recommendation for self-taught indie designers and has a very system-oriented approach to design. Challenges for Game Designers was maybe the weakest for content, but the exercises more than make up for it. A Theory of Fun for Game Design stands out as still the perfect pick for someone brand new to game design, regardless of age. I wouldn’t base a curriculum around it, though. It was also worth rereading it now that I have several years of game development experience under my belt. Now this isn’t to say these books are bad just that they really did not fit my tastes and I’ll be avoiding others like them in the future. I did not like Reality is Broken, though it does have some nuggets of wisdom I appreciated. Ultimately I felt like reading someone all-too-enthusiastic pitch for how games will contribute to world peace, while glossing over any possible contradictions to that utopic vision. I thought Flow was a complete snore – it is worth reading chapters 3 & 4 and skipping the rest. This was a disappointment considering how important the concept of flow is in game design, and while I don’t recommend it I will say that I have a better understanding of flow then I did before reading the book so it might be worth the effort. Finite and Infinite Games was likewise uninteresting to me as a game designer – though perhaps redeems itself as a philosophy book (…if you like philosophy. I discovered I do not). Ghosts in the Machine was a fiction anthology that I reviewed. I was on the fence about reviewing it, first because it’s fiction and second because I was really disappointed in it. I might just avoid reviewing fiction from now on. (I also hated Ready Player One and refuse to review it, so my taste is definitely not mass market). I’ve used some of the techniques and examples in these books to help me with my work. I find myself recalling pattern recognition (Koster) when looking at systems, consistency, and tutorials in games. I tend to use the terms “scene” and “resistance” more often than “level” and “difficulty” (Anthropy & Clark) to compare vastly different types of games. I see patterns of play in many of our social constructs (Huizinga) and often my thoughts go to comparing game behaviors with rituals. I’ve been inspired to actually tackle competitive multiplayer games (Sirlin) through chess, then Counterstrike, and now Hearthstone. I am more articulate about design, and able to express design concepts faster instead of meandering around them until I hit on the right set of words. I probably irritate people a lot more these by responding to questions by suggesting a book they should read. Eventually I’ll get in the habit of just answering the damn question already. All told, the reading I’ve done has made me a better designer. but it takes a long time and the signal to noise ratio can be intimidating. Writing about each book has helped me internalize many of their lessons and really aids in recall. It can be kind of hard to justify the effort that goes into this, especially when most of my peers scoff at game design books as useless, vague, all theory and nothing practical. But everyone has also always followed up to ask if I’ve found anything good. From the beginning, one of my goals has been to help filter through the literature on games for others. Hopefully you all are not disappointed in my reviews. I still have 110 unread books. At my current rate that’s another 6.5 years of reading, not including the books I’ll pick up Katamari-style between now and then. It would be a slog except that when I look over my collection I get really excited for all the books I haven’t read yet. Despite narrative being my hobby horse, I haven’t read and reviewed a single book on that topic, and level design and RPGs are woefully absent. I’ve actually read pieces from a couple Ph.D dissertations this year. I think this will be a category of books that I will only review if I like them. There’s no use reviewing someone’s dissertation if I don’t like it – no one was going to read it unless they sought it out anyway. On the flip side, the two dissertations I’ve read from were absolutely fantastic and I’d like to use my blog to bring attention to them. Expect to hear about them soon. Speaking of academia, I actually like reading papers printed to traditional academic journals. This kind of work is hiding far away from the eyes of the industry so I’ve been thinking of ways to bring attention to it or review collections of academic papers that cover a specific subject. Not promising anything yet, but I suspect a post every few months might sneak out that rounds up a bunch of academic reading on some niche topic. And that brings me to my next point: there’s lots of other forms of game design writing that doesn’t take place in a book sold at your local bookstore or favored online retailer. It seems short-sighted to ignore all the articles, design blogs, games criticism, videos, and other smart work being done out there in different media. I don’t really have the time to do it myself but maybe someone, somewhere, who may be reading this blog post right now, has the time to do it. (I’d read it). 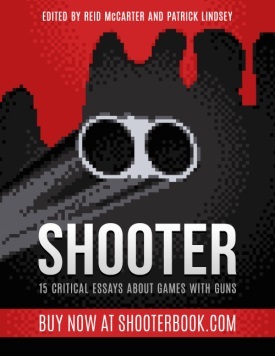 Summary: an anthology of critical essays on shooters, largely focusing on first person. A good read for anyone who loves the genre and wants to dig into some good, short critical thought on the topic, but also a good entry point for those new to games criticism. Shooter is an anthology of fifteen critical essays (sixteen if you count the foreword) on shooters, each from a different author with their own distinct take on the topic and style of writing. The love the authors have for the genre shines through their writing, whether they are singling them out for their flaws or praising them for their successes. Each essay revolves around a single game – from cornerstones like Doom to under-appreciated failures like Haze. Most of these essays jump from analyzing a single work in its own right to the relationship of that work to the history of the genre, the relationship between players and developers, or the role of shooters in our greater cultural landscape. In a lot of ways this anthology is refreshing. These essays look critically and seriously at a genre of games so often dismissed as mindless entertainment or demonized as mindless violence. The foreword itself helps frame the purpose of this book by pointing out that shooters have cultural and artistic importance and deserve criticism in their own right. Shooter is fairly short – Amazon suggests it is 127 pages but the book only exists only in digital format. I read it over three evenings, with each essay a short enough to read over a ten or twenty minute chunk of time. Overall I found it a nice mental break from some of the tougher game design theory texts I have been reading through. Shooter is not a challenging read, but it is an interesting one with plenty of ideas worth mulling over, and the essays cover many different styles of criticism, from fairly dry analysis to very personal stories. Keep in mind that almost all the essays contain heavy spoilers for that particular game. I really enjoyed this anthology, despite some initial misgivings since games criticism can (personally speaking) often disappoint me as a developer. Instead, I thought all the essays in Shooter were really solid, with a few that definitely stood out to me as very worthwhile reads. My fingers are crossed that Shooter gains enough positive traction that it will encourage more critical anthologies like it – I would certainly add them to my reading list. If you don’t read much games criticism, I would consider this an excellent introduction, and if you already love criticism then this collection will be a treat for you. I think Shooter would be a good pick if I were teaching a class on games and needed a collection of articles to introduce students to critical reading of games. My main caveat is that I haven’t played most of the games written about in this anthology. It’s difficult to disagree with an author about his interpretation of Wolfenstein: A New Order if I’ve never played the game myself. That said, I didn’t find my lack of knowledge an impediment to reading (the essays give plenty of details) and I found each topic interesting even if I have little interest in playing the game itself. The only negative thing I can really say about Shooter is that it is not critical enough. Most of the essays were easy reading in part because I didn’t find the arguments within particularly challenging. Some of the essays reiterated points to me that I already bought into – though with the caveat that they used very specific examples to showcase those points. I can’t say I walked away from this anthology with a brand new understanding of shooters, but then I am not sure that’s really the point of the collection in the first place. Instead it felt like it filled the niche of “good food for thought”. Since it’s hard to find detailed information online, and because I enjoyed all of the readings, below is a full list of the essays in the collection along with a short (often incomplete!) summary and initial thoughts. I’ve avoided any specific spoilers in the games. The author goes into detail on the history of shooting games, from carnival games to arcade games, and uses this sort of public sphere gaming to talk about Battle Garegga, one of the last old-school arcade shooters. He then compares these short burst, high-skill oriented, public play with the isolated, singleplayer gameplay that takes precedence in shooters afterwards. I can’t say I entirely buy the premise (especially considering the importance of multiplayer shooters and esports) but appreciated the historical perspective. This essay (one of my favorites) talks about how war, terrorism, heroism, and the current political climate are portrayed in Call of Duty 4 and serves as an opportunity to “purge our demons through an interactive manifestation of our largest cultural fears”. It goes on to explain how the game falls short of really confronting those fears and argues that we need to move forward to acknowledging the uncertainty and anxiety we have about our future. This essay was very good, and I don’t think I do it justice with my summary. This talks about the modern era of critical shooters (specifically starting with Bioshock) that attempt to address the relationship between players, violence, and gameplay. It claims that Far Cry 2 stands out from others by embodying this message in every aspect of the game, instead of overlaying that message in an overwrought plot and with extended cut-scenes that spell it out for the player. (As the author says, “The game’s violence is never explicitly commented on — it simply exists.”) While so much has been written about Far Cry 2 already, this essay seemed to bring a different perspective (albeit one still in line with other critical thought). This was kind of a lovely essay about the author’s hesitation to play first person shooters, and their unforgiving usability curve, and how she used Fallout 3 to learn how to play the genre slowly at her own pace. One of the reasons I liked this is because it resonated with me so much. My first shooter (beside the original Doom and Wolfenstein 3D) was Deus Ex and one day I’ll write about that wonderful/harrowing experience. The author’s hesitation to try shooters, the difficulty in learning very ‘simple’ concepts, the fear of playing with more expert players – all of these mirror my own experiences. The author analyzes the role of the environment in S.T.A.L.K.E.R. as a dynamic, active role in the game, with a degree of agency similar to that of a character. This essay was timely since though I have never played S.T.A.L.K.E.R., I did finally watch the Tarkovsky film of the same name and I found myself nodding along as I read. I thought the author’s point was supported by lots and lots of details, and this is one of the essays that has led me to pick up a copy of the game. I think this essay suffered the most from not having played the game in question, Gears of War: Judgment so I found it difficult to really engage with the text. It was a critical look at how the narrative of Judgment attempted to go further and be more meaningful, but ultimately fell flat because it struggled against all the elements that work so well in Gears of War – those elements, essentially, being the pacing and spectacle. Argues that games about war generally empower a single heroic player to be the avatar of an entire side of the conflict, which is far from the reality of war in which a soldier is just one set of bullets within a sea of firearms. Red Orchestra 2′s brutal multiplayer, where players die fast, with no respawn and little hope, heroism is shunted aside. It has an “emphasis on avoiding death over acquiring power.” I was won over by the thesis – disempowerment fantasies are rare in games but fascinating to me – and enjoyed the article. The author looks at how the main character in Wolfenstein: The New Order appears to represent a old, dying breed of genre, and how this game acts as a kind of monumental send-off to that character and the original design sensibilities of Wolfenstein. He draws a comparison to the latter half of the Beowulf epic throughout the essay. I honestly can’t say much more without spoiling the game, but I enjoyed it a lot, and thought the comparison with Beowulf (one of my favorite pieces of literature) felt very appropriate. The essay discusses the representation of allied soldiers – protagonists with unique personalities, portrayed as flawed and complex and undeniably human – with the representation of German soldiers – portrayed only as violent, uncaring, and dehumanized. This essay points out the atrocities of the Allies and the complex issues facing normal German soldiers and asks that games portray these nuances instead of the stereotypical good vs. evil showdown. I actually thought this was the weakest essay in the collection, in part because the issue of faceless Nazis is well-trod ground (perhaps more so in other media than games) and in part because the game itself seemed forgotten halfway through. It’s not that I disagree with the thesis – the opposite, of course – but rather than I gained little from reading it. The author argues that video games aren’t violent enough, and instead game violence is disposable, sanitized, and relies on spectacle instead of being “distressing, disturbing, or provocative”. In it, he looks at the game Haze as a precursor to Spec Ops: The Line and even argues it’s superior (conceptually, maybe not in execution) because it also approaches the concept of developer complicity in video game violence, not just player complicity. Anyone who knows my particular interest in horror will understand why this is my favorite essay in the collection. Just the initial statements on how game violence isn’t really that violent won me over. It was a wonderful surprise, too, to find so much depth in a game that was generally panned and forgotten. This talks about the difference between games of the star-studded past – the time of Doom and Wolfenstein 3D – and how they differ from the current palette of first person shooters. In particular, the author zeroes in on physics projectiles in older games – which afforded for tactics like running and dodging and judging projectile speed on various weapons – and compares that to instant hit detection common in many modern games. While his points about the speed and movement early shooters gave to their protagonists, and how some modern games (Titanfall, for example) have been bringing this agility back, I think tying it to projectile speed is a bit overstated. This essay discusses the ‘male gaze’ and the use of women bodies as props and decorations to be looked at in games, and how Perfect Dark circumvents that by making the main character not just female but also presented in the first person. That perspective prevents the character from being looked at, meaning she can only be judged by her accomplishments and skills. This sets her apart from another major female character at that time – Lara Croft – who exists in third person and is unambiguously evaluated for her body. My only criticism of this piece – and I think it makes its argument very well – is that it covers a lot of ground I am already really familiar with. The author explores how the game uses guns deliberately in contradiction to the power fantasy of most first person shooters. As a horror game, it focuses on guns as limited tools, full of usability issues (i.e. lack of reticle), with severe consequences (attracting enemies), and even can be turned against the player. I’ve argued on the topic of guns in a horror game before, since they are a tool to empower the player to defeat an enemy and thus undercut its effectiveness at making you afraid. Cthulhu seems to take a similar approach as, say, Alien: Isolation (dangerous and best to be avoided) – except that guns seem to take a much more central role in the game. In a nutshell, the thesis of this essay is that the game is ugly — not as an insult, but rather the argument is that its aesthetic is ugliness and you can see this in the art design, sound design, handling of weapons, relationship between the characters, and so on. The author sums it up really well with the following sentence, “Its sloppy guns, its nauseating camera, its lack of security and constant chaos — almost everything about the game seems built to repel the player.” This kind of critique (in a larger sense) touches on one of the ways games criticism can be really interesting and engaging: that it doesn’t matter whether these elements are actually intentional, but instead that they exist and a person can find meaning within them.